This is Spain's first radar satellite intended primarily to address civilian surveillance needs and to cover many different applications including defense and security. The high resolution radar, Earth observation PAZ satellite will say its final goodbye to Spain, and will be shipped in December 2017 to its launch site in Vandenberg Air Force Base, California, USA. Airbus and Hisdesat, the Spanish operator of governmental satellites announce that the launch of the PAZ satellite will take place in the last week of January. Since completion in 2015, Airbus has maintained the satellite in its Barajas cleanrooms, in Madrid, ready to be launched at short notice. José Guillamón, head of Airbus Space Systems in Spain stated that they had to be ready at all times as they could have got a green light at any moment. 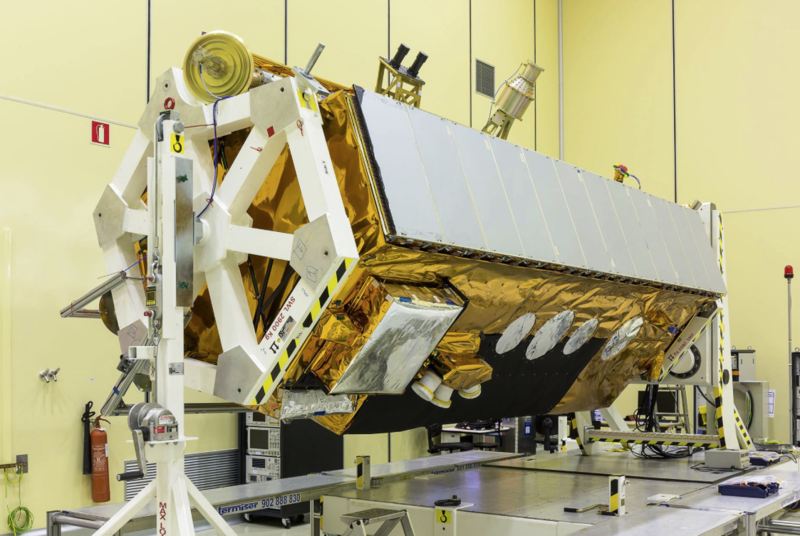 Close cooperation between Airbus as the prime contractor and Hisdesat as the owner and operator of the satellite has been a key factor in successfully reaching the final stages. The PAZ satellite is equipped with an advanced radar instrument designed for high flexibility, and the capability to operate in numerous modes allowing for the choice of several different image configurations. It will be able to generate images with up to 25 cm resolution, day and night and regardless of the meteorological conditions. Designed for a mission of five and a half years, PAZ will orbit Earth 15 times per day, covering an area of over 300,000 square kilometers from an altitude of 514 kilometers and a velocity of seven kilometers per second. On its slightly inclined quasi-polar orbit, PAZ will cover the entire globe in 24 hours, serving both government and commercial needs. PAZ also features an Automatic Identification System (AIS), simultaneously combining for the first time ship AIS signals and SAR (Synthetic Aperture Radar) imagery, increasing the monitoring capacities of the maritime domain worldwide. It will also be equipped with a Radio Occultation and Heavy Precipitation experiment (ROHP) from the Institute of Space Science del Consejo Superior de Investigaciones Científicas (ICE-CSIC). For the first time ever, GNSS (Global Navigation Satellite System) Radio Occultation measurements will be taken at two polarizations, to exploit the potential capabilities of polarimetric radio occultation for detecting and quantifying heavy precipitation events. Airbus in Spain, as prime contractor of the program, led a team of 18 European companies. The Spanish space industry was heavily involved in the development of the advanced active sensor with SAR technology. Since the start of the program, the PAZ satellite has reaped benefits for the Spanish space companies involved, enabling them to develop new capabilities to further enhance their competitiveness in the global space market. Miguel Ángel Panduro, Head of Hisdesat stated that the PAZ program is already a success story for Spain’s industrial development, and that it has created hundreds of skilled jobs over the years, and stimulated research, development and innovation activities in Spain. The SAR constellation will expand Airbus’ broad constellation services also comprising the optical satellites SPOT 6/7, Pléiades 1A and 1B and the Disaster Monitoring Constellation (DMC). 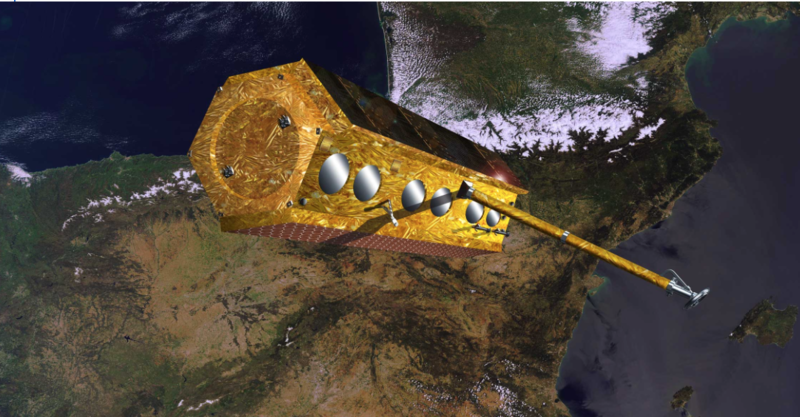 PAZ, the first Spanish Earth observation satellite, will also be a contributor to Copernicus, the European Global Monitoring for Environment and Security program.